The key reason owners/restorers bring old motorcycles (or old cars) to events, to compete for awards, or seek to display them, is essentially validation. By this we mean that the restorer wants to have someone say, in effect, “You did a good job restoring that,” or “That’s a nice motorcycle.” This is not to deny that many owners want to altruistically share their motorcycles or cars with others, for their benefit and pleasure. 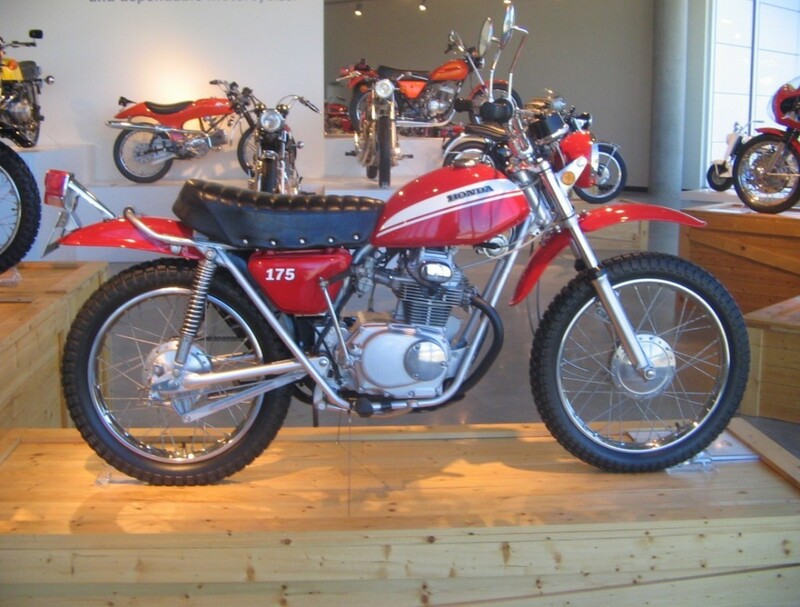 My feeling, however, is that most of the impetus causing an individual to display a motorcycle or enter a judged show, if not to gain special recognition, is to at a minimum have his or her work validated (and judged acceptable) by other knowledgeable collectors and the public. The restorer, collector, and owner all seek the approval of their peers. For the restorer, however—who has placed his or her craftsmanship and aesthetic choices in the most exposed and vulnerable position—this tangible approval by peers is even more critical. Consider this hypothetical scenario: Would the “last man on earth” restore a motorcycle or a car—or even paint a picture or build anything of beauty? Likely not. And the reason this last man would not go to such efforts is that there would be no-one to appreciate the work but him—no other soul to validate his efforts and lend them worth. Competing in a sanctioned AACA (Antique Automobile Club of America) or AMCA (Antique Motorcycle Club of America) show: In this case, validation is knowing that several experts have spent time considering the owner’s machine, have carefully evaluated it, and have provided written results. Also (if one know the rules and did their homework), the entrant is almost always going to achieve some level of recognition (Second junior award, First senior award, etc. ), including a tasteful trophy or medallion and the peer acceptance that accompanies the effort. Participating in a less-formal local, non-sanctioned show: Validation in the case of smaller, local events can be more elusive, though it doesn’t have to be. Lacking the aura of the museum and (nearly always, at least) the objective judging system and gravitas of the AACA/AMCA events, the organizer is challenged to find a way to cause owners to give up (at least) a Saturday, and transport their machines in the organizer’s event. The restorer/exhibitor still wants some sort of affirmation that their time—both working on the machine and traveling to the event—is appreciated and has value (as Ossa motorcycle enthusiast David Richardson and I laughingly imagine, restorers wish to “wheelie our old bikes by the cheering crowd, into the sunset.”). Here, validation may be gained through various avenues, but these are not a constant, and can sometimes be given insufficient attention by event promoters. The question for the promoters of these (often small, local events) becomes What can be provided to the show’s exhibitors to ensure this validation, and cause them to bring out their vehicles? 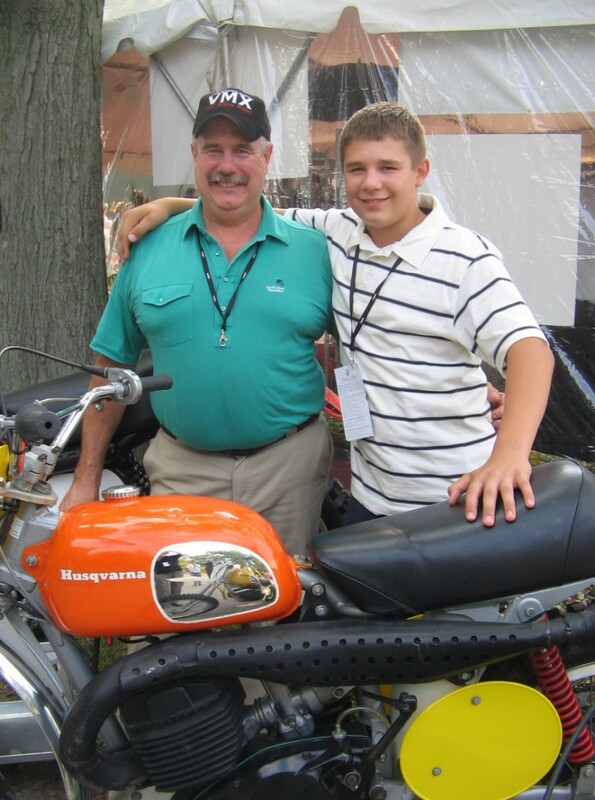 Successfully meeting the needs of the exhibitor at such an event might be as simple as the organizer/promoter saying to the potential exhibitor, “Hey—you have very nice bikes; would you consider bringing some to our next show?” That’s validation. It could be the sponsoring Rotary Club president shaking the owner’s hand, a nice “glamour” photo of the motorcycle or an award provided free-of-charge, being mentioned on the intercom . . . anything that affirms and justifies the owner’s efforts and makes transporting a motorcycle several hours, giving up their personal time—and usually paying to do so—worth it. When show promoters figure this out, they will have full exhibition areas. This entry was posted in motorcycle restoration and tagged car restoration, motorcycle aesthetics, motorcycle restoration. I can appreciate this article for sure as I have an old muscle car that I am working on. Chevy Nova. There is a lot of pride, blood, sweat, years, all that goes into your passion. It is nice to go to a show and let others check out your progress or completed project. Like you said there is a sense of validation but also it’s just plain fun! Haven’t been to a motorcycle show but to see some old restored ones would be a blast. WOW, very nice motorcycles you are showing on your site! I think it’s absolutely okay you guys seek for the approval of your peers, could imagine it’s rewarding all the hard work you have put into it! I had never asked the question of why restorers or enthusiasts displayed their old bikes or cars. I thought it was to give pleasure to the public who visit these events. Although this may be part of the reason I can see there are other considerations. In the end it seems that as a restorer, you only need a small gesture from the organizers to show that your work is appreciated, to keep you displaying your machines. I am sure the public who sees your motorcycles are really admirative but perhaps we don’t say so often enough. Thanks J – your appreciation means a lot! I would like to believe that restoring motorcyles can be some form of art. People do this because it is was interest them. It can be a hobby as well. With that being said, there are people who appreciate or have a thing for vintage stuff. Since these stuff are hard to come by, showcasing them remind others that these motorcycles and cars used to be part of their life. Steve, restoring motorcycles is definitely an art. Hopefully we’re doing a good job of bringing that art form to life here at vintagemotortees.com. Thanks for the comment! Hi thank you for showing off these beautiful pieces of history. I love everything vintage and especially vintage cars. I really appreciate what you are doing here and I hope you continue down the restoration road. What a wonderful interest it is. I am currently rebuilding a VW beetle, which is in really bad shape. It is a costly hobby I have to say but very very rewarding, just to see the life of the car being reinvented once again. Thanks, Barry. It has been a great interest; I–along with you–hope others avail themselves of this rewarding hobby, sometime in their lives. Best wishes on the Beetle; I remember driving with my dad in the late 1960s, and counting the Beetles on the road one day; for a while, every 4th car was a Beetle! They were incredibly common, and for good reason. Have fun bringing back this piece of our American transportation history.